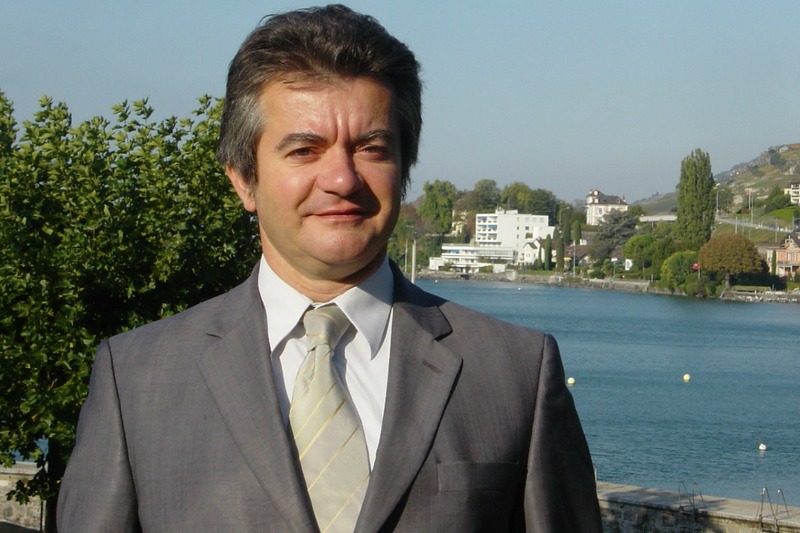 Pascal Gréverath is Head of Environmental Sustainability at Nestlé. He also chairs the environmental sustainability committee of FoodDrinkEurope, an industry trade group. He spoke to EURACTIV’s publisher and editor, Frédéric Simon. The COP21 opens in Paris in a just a few days. The food and drink processing industry in Europe comes there with a strong track record, since it was able to reduce its carbon emissions by 22% over the past decade. In which areas were the biggest cuts achieved? These reductions come a lot from processing: improvements in energy efficiency and a move towards cleaner fuels — replacing for instance coal and heavy fuels with gas — which reduces significantly the emission of greenhouse gases. We’ve also started a switch to renewable fuels. For example, at Nestlé in France, we have just installed three new boilers using wood — coming from sustainably managed forests —replacing heavy fuel boilers. So this is how we started a shift to renewable energies in our manufacturing plants in France. Another important element is the use of natural refrigerants. There is a commitment through the consumer goods forum, which is a global organisation involving many food companies and retailers, to use natural refrigerants instead of HFCs ? whether ammonia, CO2 or hydrocarbons. And so there is a commitment from this forum to phase out HFCs, which have a significant global warming potential. So renewable energies and refrigerants are the two areas where the biggest cuts were achieved over the past decade? We can mention a third one, which is food waste. There is an effort by industry to eliminate waste. Worldwide, 30% of food is wasted. And the issue is not only about treating waste but also saving energy, water, greenhouse gas emissions which were generated to produce this waste. So by moving to reduce food waste along the value chain ? in manufacturing but also in retail and with our suppliers ? there is certainly a benefit in terms of greenhouse gas reduction without affecting the output, which is a win-win solution. Is this waste being reused in the manufacturing process? The first thing is to prevent waste from happening in the first place. The ultimate objective of any food and drink company is to become zero-waste. And at Nestlé, we made a commitment that by 2020, all our sites will be zero-waste-to-landfill. We are already there in the UK and in Europe generally speaking we are well advanced. And we are not alone, other companies are doing this too. So the first priority is to prevent waste by improving our processes, with better planning, so that everything that is produced is sold or used. Now, if waste happens to be generated, then instead of being landfilled, the waste can be reprocessed as an intermediary product ? if quality criteria are met of course. Otherwise, it can be re-used for pig farming as animal feed or ultimately for land spreading ? again provided that quality criteria are respected. Looking ahead, where do you see the biggest potential for further cuts being made in the next 10-20 years? I would see the biggest potential in the upstream supply chain, which is not necessarily in Europe. Many food companies, including Nestlé, have taken a commitment to zero-deforestation, for instance. And also to cut food waste in the upstream supply chain. So that means helping our suppliers inside and outside of Europe to improve their efficiency and prevent food losses in the supply chain, which can be significant. You mean losses happening at the farm, essentially? Yes, exactly. And not only in Europe, which is not the most critical, although the Commission does not have clear figure at this stage. The FAO has identified losses in the supply chain in many countries of the world due to lack of storage capacity, lack of proper transportation means, etc. So there are losses after harvest but ? even worse ? sometimes before harvest. This means there is underperforming agriculture in many countries. And at Nestlé, we have more than 1,000 agronomists in the field helping our suppliers in areas like dairy, cocoa and coffee. Nestlé doesn’t own any farms but our technicians help farmers directly in the field to improve their efficiency, improve their yields and implementing sustainable farming practices. We have the Nescafé plan and the Cocoa plan which are exactly for that purpose. We even provide them with tree plantation help. So that’s the future: going towards no deforestation for which there are commitments. But it’s not sufficient — there is a need to have the governments involved, and also smaller companies. Are these programmes with suppliers just embryonic, or are they becoming more widespread across the industry? It depends on the companies. Some have been working on it for a long time and I would certainly put Nestlé in that group. But is it mainly the bigger companies doing it? Not all of them. At Nestlé, we’ve been doing it for a number of years — sending our agronomists to the fields in order to improve farming practices. We have always made sure to maintain a contact with farmers for example in our dairy business. More than half of the milk we procure is procured directly from farmers because a majority of our factories are located in the production countries. Same for coffee — between 15 and 20% of the coffee we procure is directly from growers. That allows us as well to have a direct contact with them. Other companies also have programmes, on cocoa in Africa, for instance. Because we are all facing risks of having supply challenges, which are exacerbated by climate change. The demand is booming, so it is a business challenge. When we look at the survey made by FoodDrinkEurope, Time to Act, food companies are already working with farmers. 90% said they already work actively to reduce emissions along the food chain by working with farmers. In Europe, this is mostly the biggest companies doing this for the time being. I saw Nestlé has been running a supply chain management programme, which includes auditing thousands of suppliers in all kinds of product categories. How much is this costing to Nestlé, and how do you justify those costs to investors and shareholders? There is a clear risk identified for sustainability of supply. So it’s our responsibility towards our shareholders to identify and address this risk. But the costs must be high, I suppose? This is part of the operating cost. We are a long-term oriented company, we are going to celebrate next year our 150th anniversary and we have to anticipate potential risks affecting the future of the company. And one of them is sourcing of quality raw materials — especially coffee, cocoa and dairy because the demand is booming. And maybe auditing is not the proper word to use in this case. It’s not about assessing whether farmers are passing or failing a test. It’s more about seeing whether our sustainable sourcing guidelines are properly implemented in the twelve different categories that we have identified. So the purpose of this audit is not to select suppliers and stop doing business with those who fail but making sure they apply our requirements. And when we find it’s not the case, helping them to achieve these performance levels. After a certain time, if they still don’t satisfy our requirements, we will have to stop doing business and look somewhere else. But our purpose is to help, especially smallholders, to improve their performance levels so that they can stay in business. In the same way, all our own factories, distribution centres and head offices are certified — ISO 9000, ISO 14000, etc. All this has a cost of course but it also has a return which is an improved performance of our operations and our suppliers. With those suppliers that don’t meet the requirements, what timeframe do you give yourself to bring them in line or stop doing business with them? Is it five or ten years? It’s certainly not ten years! We audit and come back to them after one year at the latest. And if they’re not there, we challenge them. Fortunately it doesn’t happen so often because they realise it’s in their interest, not only to continue supply Nestlé but also others. We don’t do that to bother them. Our ambition is to help them understand potential risks like the evolution of the climate. Some farmers in coffee or cocoa or maybe a dairy farmer in Pakistan or India may not have the same access to information we have. So we share this information with them hoping they will understand it’s in their best interest to adopt sustainable farming practices, not only in the interest of Nestlé. And generally, they understand. Looking at the Nestlé website, I saw you had a target for 100% sustainable sourcing of cocoa by the end of 2015. We’re approaching the end of the year, so can you say you are on track? We will see. We cannot tell you anything now. What is Nestlé going to do next? Are you going to adopt similar 100% sourcing targets in other areas? Certainly, but we have not decided yet. Our objectives have been published, and they are the only ones which are publicly available. Looking ahead, is 100% certified sourcing a target the industry should be aiming for generally? It depends how. It’s not just about certification, because there is evidence that certification eliminates mainly smallholders. So it’s not only about getting a certificate. It’s about creating awareness among farmers of the potential challenges they will be confronted with, and helping them address them. So you’re saying certification could even be counterproductive, by imposing bureaucratic requirements on smallholders? If it’s just certification, definitely. Now, the more assistance smallholders and SMEs will receive from companies or public services or traders, the better it is. But it has to be real assistance, not just delisting smallholders who are not compliant. This won’t help. In Columbia, for instance, the production of coffee is challenged, partly because of El Niño. And the younger generation is no longer interested in working in the farm. It’s the same in Europe and Africa. The younger generation wants to live in the cities. So who’s going to work in the farm of tomorrow? Looking down the supply chain, what steps is the industry taking to reduce its environmental footprint? Downstream, we can encourage and guide consumers but we don’t have the same kind of influence as with the suppliers. First, we provide information to consumers because they have a key role to play in this area. Several years ago, we identified there was a plethora of environmental labels. We drew these conclusions as part of the sustainable consumption and production roundtable where the food industry sits alongside the European Commission. At the time, we found this was creating more sustainable confusion than sustainable consumption. And so we agreed on the need for a harmonised methodology to assess the environmental footprint of products. So we first established some key principles on how to assess the environmental performance of products along the whole value chain and how to communicate this to consumers. Two years ago, this concluded with the publication of the first envi-food protocol. And this has now resulted in the Product Environmental Footprint pilots, which were launched by the European Commission. Almost half of the PEF pilots are related to the food sector. And I represent the food sector in the steering committee of the PEFs, because the Commission recognised we were the most advanced sector in terms of working towards a harmonised methodology for measuring environmental performance along the supply chain. Several PEFs were launched in areas like beer, dairy, coffee, packed water, etc. How far have you gone? It’s a three-year process which started in 2014. For the time being, there are regular meetings of the steering committee. So where are we? First, pilots have been selected. As a company, Nestlé is very much involved, we participate in three pilots — on coffee, packed water and pet food. We are certainly the company which is the most active in this project because we fully support the work towards a harmonised methodology. We believe this is absolutely necessary if we want to provide reliable information to consumers, which is also recognised by the entire European food and drink industry. Now, the pilots are working to define the so-called product category rules. And they are starting to examine how to communicate the results to the public, which will happen next year. When do you expect the first methodologies to be agreed? And once they are agreed, do they become industry standards? The first methodology is the envi-food protocol. This is a harmonised framework to assess food and drink products, which has been defined by industry together with the Commission. Now, the PEF projects go beyond the food sector but the methodology is fully consistent with the envi-food protocol. So the objective is that, at the end of next year (2016), PEF pilots will have established their specific sub-rules for categories. These will be tested on some products at the end of this year and communicated next year, which will complete the pilots. And then the Commission wants during one year (2017) to review this 3-year project and see what policy conclusions can be drawn. Looking forward, could some of these methodologies become mandatory? This will be voluntary, I believe, not mandatory. There are three objectives of this pilot: establish product category rules; clear validation processes so that figures are credible and comparable; and test communication tools. But the outcome would be to replace the current plethora of labels with one single label, or certificate? I wouldn’t call it label because there is already an eco-label. Labels are like certification, either you’re in or you’re out. Rather, we believe the benefit of the PEF quantified approach is that you can have a kind of progression level. A little bit like you have already today for electric appliances, a grading from A, B, C to G. Now, the challenge is to combine different environmental indicators because you cannot have just one parameter. For electric appliances, it’s energy consumption — easy. But if you take food, there are more parameters: water consumption, biodiversity impact, greenhouse gas emissions. And the challenge is to combine these dimensions which are all relevant, into a simple communication tool. At Nestlé, we did a pilot two or three years ago in France, for coffee ? Nescafé and Nespresso. We came up with three indicators: on water, greenhouse gas emissions and biodiversity impact. And we provided the information via a mobile phone application. Because everybody agreed this was too much information to put on the packaging. So that’s what we did in France with the Proxi Produit pilot. In Europe, we have to see. I don’t know if it’s feasible to have one single parameter with grading from A to G.
I understand there is no unified industry position on this, because it’s early stages. But I assume consumer organisations would prefer a single label that can be placed on the pack. Is this something you would support? On the pack, I’m not sure. Even the consumer organisations realise that it’s impossible to have everything on the pack. Everybody has a smartphone and there are fantastic apps with which you can get detailed info about some products. Anyway, it’s not possible to put all the information on the pack. At Nestlé, we are not ashamed of the environmental performance of our products. On the contrary, we want to communicate the information and we want to make this known and visible to consumers. Those interested have the right to have access to this information. That’s why we have a plan to put progressively on our product a square code which allows getting information, not only about the environmental performance, but also nutritional information and other social aspects related to the supply chain of a product. You mentioned water, greenhouse gas emissions, biodiversity… Would you add any others to the list? I guess you don’t want to make it too long, right? It may vary from category to category but for food products, water is definitely the key one ?you know that 70% of freshwater is used in agriculture. Greenhouse gases, of course. And biodiversity, even though it’s difficult to assess, it’s an area that deserves attention. So I would stick to these three ones. What role do you see for the retailers? Some, like Leclerc in France, have taken the initiative to show the total CO2 footprint of consumers’ shopping baskets on their receipt. What do you think of such initiatives? Is it helpful, or is it adding to the confusion? It can indeed be perceived as confusing. But we are now in phase where we need to test. Tesco a few years ago announced they would put the carbon footprint of all their products. Now, they have abandoned this idea for many reasons. One of the consequences we have to take into account is the cost. Because if we want to calculate the environmental footprint of every product that is put on the shelves, it will have a cost. Especially because it has to be done in an accurate way, tracking and tracing the data, the origin, etc. So I think it is not for tomorrow. Retailers have been part of the SCP roundtable. Certainly we have to collaborate but also with the upstream supply chain because it’s in our shared interest to provide clear and understandable information to consumers. So you don’t believe consumers are ready to pay more for environmentally-friendly products? The growing demand for organic shows some people are ready to do it. Organic is growing, it’s true. In our products, environmental concern is something which is mainstream. It’s become part of our brand, it brings value to it. And consumers will turn to products which are not only tastier and healthier but also better for the environment.